The Victorian community services industry is large and complex and is the fastest growing industry in the state. 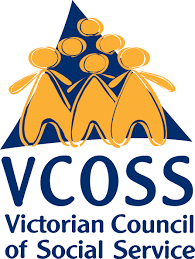 This is an exciting opportunity to join VCOSS to support the industry develop and grow in a rapidly changing environment. You will bring to the role your experience in developing workforces through areas such as organisational development, training or peak body experience. The Manager- Workforce and Industry Development will manage the Community Traineeships Pilot Program and a range of strategic industry development projects. The Manager work with a wide array of stakeholders, and further develop VCOSS capacity to support industry development through revenue generation. Working with an experienced and highly performing management team, the Manager – Workforce and Industry Development will across the organisation to further build project management capability, and will work with a range of strategic partners including the VCOSS/RMIT Future Social Service Institute to ensure a responsive approach to industry development. Please quote in application: Manager – Workforce and Industry Development via Pro Bono Australia.